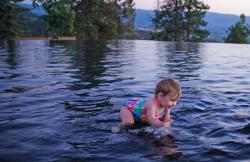 Kelowna based AQUASCAPE CUSTOM POOLS began business early in 2010. Although the company is young, our crew has extensive experience in building swimming pools - especially the large, and complicated ones. Our overriding goal is to earn a ringing endorsement for our work by every home owner and general contractor that we build a pool for. This is the absolute best way to build our reputation. 3. PROVIDE the best after build service available to ensure complete and ongoing customer satisfaction. We are in the business of building pools and spas, but what we really do is make dreams come true. We pride ourselves on taking the time to do your pool the Right way. Contact us and tell us about your dream. Aquascape will do its best to earn the opportunity to make that dream come true for you. Learn more about our team and how we help turn our customers back yard dreams into reality! Check out some of our projects from beginning to end or even some or our custom projects. Let our team help you make your pool the best it can be. We will make sure it fits your lifestyle and your property. We are thrilled with our lap pool designed and built by Aquascape. K. & K.